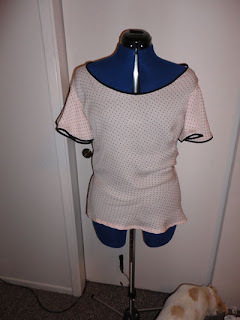 I completed my Taffy blouse today at 4:00 pm, talk about a procrastinator! In fact, I didn't even cut out my fabric until today. I made a muslin a couple of weeks ago and it was a nightmare because I used really slippery fabric and had trouble cutting it. My cuts were so far off that the shirt wouldn't even stay on my shoulders when I sewed it up. 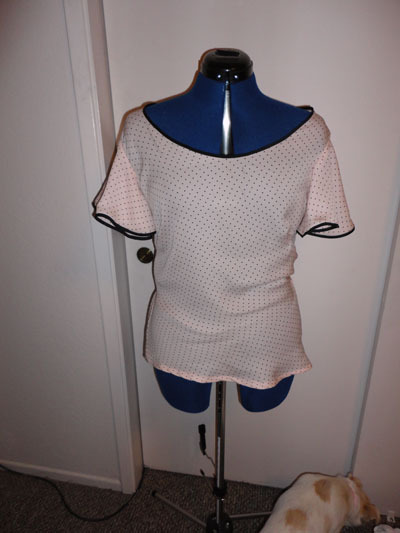 It was a depressing muslin, but I am so happy that my final shirt turned out well. 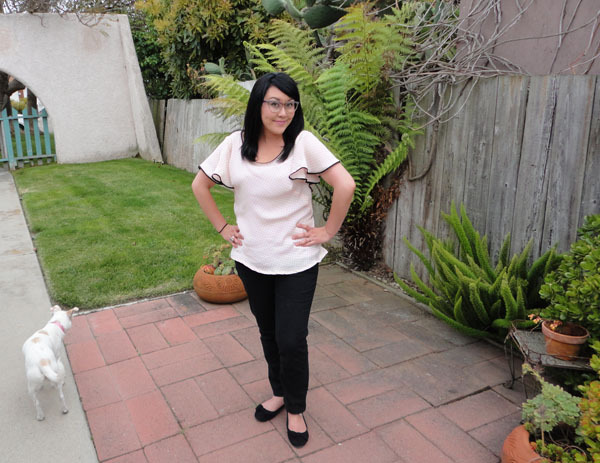 The neckline is still a little wider than I like, but it is still wearable. In fact, I wore it today :) Random, but don't you love it when complete strangers compliment you on something you have made? It happened to me today when I went to the Coach store and it made me happy. This was my first time sewing with silk and it was definitely a change and a challenge for me. I made sure to use spray stabilizer, a rotary cutter and pattern weights to cut out the fabric, a new needle, and sharp pins. 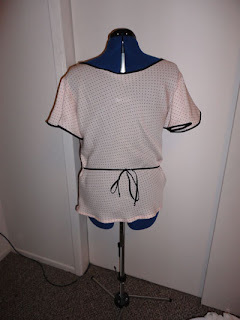 What I love about this sew along is that I am really getting out of my comfort zone and learning new things, like French seams. If you told me last year that I would be sewing French seams I would have asked if you were drunk! My sewing projects are far from perfect, but I am so happy to be learning. 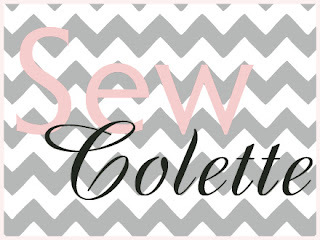 Schedule for sewing the Taffy shirt designed by Colette Patterns. April 6th - Let's talk about fabric. Yay!! It looks really cute on you :) Great fabric choice! Thank you! And thank you for hanging out with me! Its super cute!! I love the tiny dot print!! Thank you! I love polka dots. How cute! I love the soft pink with the black bias binding. Has a very retro feel about it. it looks wonderful on you! but i wonder... perhaps your cuts and my non-muslining aren't the issue on the neckline... we both came out with waaaaaay wide necklines. yours looks good on, are you having any off the shoulder troubles? It definitely falls off the shoulders when I am sitting. I have to keep adjusting it, so I am not sure how much wear it will get. it looks so lovely! I love the contrast bias trim - very very fun :) Well done on the French seams! Yours is cute! And here I was thinking I wouldn't make this one (I have been sewing projects from the Colette Sewing Handbook as well), but I think you just convinced me! Aww you're sweet! Let me see yours when you are done! Soooo beautiful! It suits you ;) It's a gorgeous fabric and color, and I am not at all surprised you were complimented on it! Well done, Lady! Really pretty! You look too cute! Also, yes, I think the pattern's shoulders are just naturally wide. I had the exact same problem as everyone else!